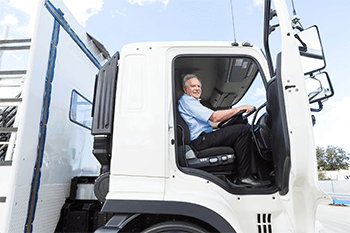 Consider how much time the average truck driver spends behind the wheel daily, and that exposure to risk grows significantly. Trucks, by virtue of their weight and driving dynamics, are exponentially more hazardous than their smaller passenger vehicle cousins, which have in the past been the first to adapt new safety innovations. 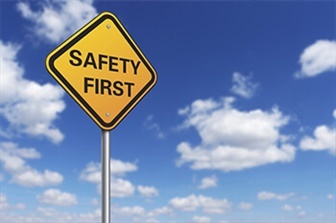 The evolution of safety has been ongoing since the first horseless carriage, with each successive modernisation gaining acceptance throughout the motoring world. For instance, the humble rear vision mirror might be taken for granted in 2018, but it was unheard of in 1910. 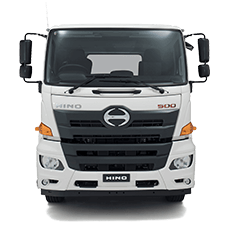 Today, the Hino 500 Series Standard Cab, is setting the benchmark, with the most comprehensive active safety package ever offered by a Japanese manufacturer in the Australian medium duty truck market. With a features list that would be impressive on a luxury passenger car, the 500 Series Standard Cab has moved the goalposts relating to the standards expected of new trucks. Headlining the line-up is the Pre-Collision System (PCS), which includes Autonomous Emergency Braking (AEB), Pedestrian Detection (PD) and Safety Eye (SE). Combining camera and radar technology, the system continuously monitors the road ahead for any possible impediment, with another vehicle, a pedestrian and/or other objects. 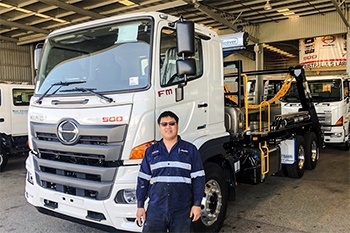 “Where we will believe this system will come into its own is in a situation on a single lane road, where traffic is unexpectantly built up,” said Daniel Petrovski, Hino Australia’s Manager of Product Strategy. 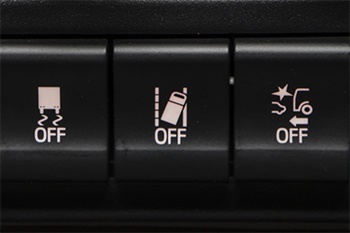 Another class leading safety feature is Adaptive Cruise Control (ACC), which not only maintains your vehicle at a set speed, if it detects a slower vehicle your speed is automatically reduced to a safe distance. Meanwhile the Lane Departure Warning System gives an audible and visual warning if the vehicle deviates from the lane without the indicator engaged. Not long ago, Vehicle Stability Control (VSC) was a ground-breaking innovation in passenger cars. But fast forward to the present day, and it is a standard feature across the 300 Series car licence through to the 500 Series 6x4 350 horsepower FM models, leading the way for Japanese manufacturers in Australia. Working in conjunction with engine and brake control systems, VSC helps stabilise the vehicle when entering a corner too fast, preventing the truck from rolling over. Add in to the mix an Anti-Lock Braking System (ABS), traction control and driver’s SRS airbag, there’s every chance the 500 Series would offer stanch competition to your road car’s feature list. 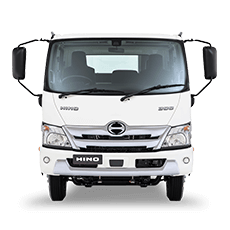 Providing an extra level of safety at slower speeds while reversing, driver’s will also enjoy almost 360° vision for improved safety when reversing, loading and unloading. 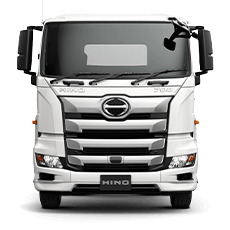 Equipped with a reverse camera that includes both night vision capability plus a microphone to assist drivers when manoeuvring. 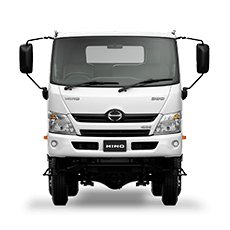 While the bells and whistles tick all the boxes, the basic truck design is up to spec, with a UN ECE R29-rated cab strength for single cabs, which is completed by ADR 84/00 compliant Front Underrun Protection (FUP), providing extra safety for passenger vehicles in the event of an accident. 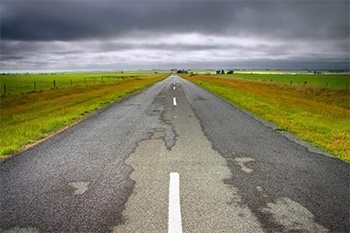 While the evolution of transport safety will continue onwards, buyers in the future can expect the continued refinement and development of these new systems. 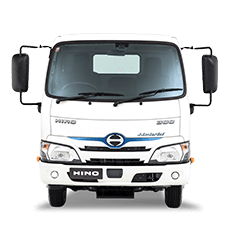 The innovations brought to the marketplace by Hino in this model are game changing and will shift the goalposts of what is expected from new trucks. And yes, the major beneficiary of these developments is the transport industry, by virtue of a safer workplace, but the flow on effects will be to the advantage of all road users.